ESG’s CEO Alejandro Litovsky writes in the Financial Times about the importance of China’s energy investments in its Belt & Road Initiative (BRI) to the global energy transition [read article here]. 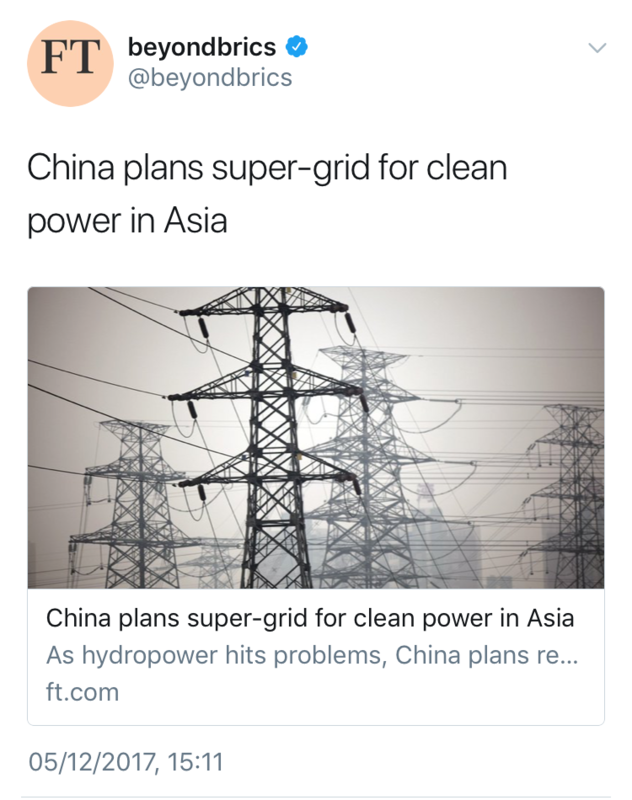 It recommends that investors and companies align with China’s bigger plans to build a clean power super-grid that connects Asia across borders and time-zones. This is vitally important in Central Asia, where water scarcity is a geopolitical risk for BRI energy investments. Climate change scenarios and melting glaciers will most certainly create electricity shortages and losses in hydropower investments. Investing in transboundary electricity inter-connections, which rely on the interdependence of countries using renewable power, is a critical step to making energy projects resilient to the pressures that Earth Security Group has anticipated for the region. This would position BRI to offer a new path for deeper cooperation in Central Asia, and make China’s regional influence a positive force for sustainable development.